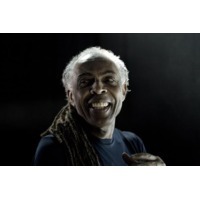 Gilberto Passos Gil Moreira (born June 26, 1942), better known as Gilberto Gil (Portuguese pronunciation: [ʒiɫˈbɛʁtu ʒiɫ]) or (Portuguese pronunciation: [ʒiu̯ˈbɛɾtʊ ʒiu̯]), is a Brazilian singer, guitarist, and songwriter, known for both his musical innovation and political commitment. From 2003 to 2008, he served as Brazil's Minister of Culture in the administration of President Luiz Inácio Lula da Silva. Gil started to play music as a child and was still a teenager when he joined his first band. He began his career as a bossa nova musician, and then grew to write songs that reflected a focus on political awareness and social activism. He was a key figure in the Música Popular Brasileira and tropicália movements of the 1960s, alongside artists such as longtime collaborator Caetano Veloso. The Brazilian military regime that took power in 1964 saw both Gil and Veloso as a threat, and the two were held for nine months in 1969 before they were told to leave the country. Gil moved to London, but returned to state of Bahia in 1972 and continued his musical career, as well as working as a politician and environmental advocate. Gil's musical style incorporates an eclectic range of influences, including Rock music, Brazilian genres including samba, African music, and reggae.